JOB TYPE: Direct Hire Role with a Global Leader in a multinational drink company, producing some of the world’s most iconic brands. Adept Packaging is recruiting for three kinds of Packaging Specialists: Paper, Two-Piece Cans, or Glass to join a Global Innovation & Technology Center (GITEC) with our client, the world leader in their industry. 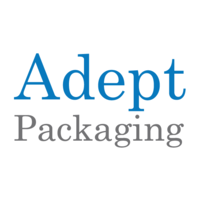 Adept Packaging is a packaging engineering and consulting company providing services that cover key technical and business needs in the Life Sciences, Food and Beverage, and CPG industries in North America and Europe. Supply Chain from raw material to delivered packaging. Wealth of food and beverage industry experience. Demonstrated leadership, project management, a portfolio of projects, direct reports. Good to very good written and spoken English. Willingness and ability for 20-25% travel. Metsä Board, headquartered in Espoo, Finland, is Europe’s leading manufacturer of folding boxboard, food service boards and white-top liners. The company supplies innovative, lightweight and sustainable paperboard solutions to the global market. An exciting opportunity is currently available for the role of Structural Packaging Designer at Metsä Board Packaging Services located in Norwalk, CT. Reporting to the Packaging Services Director and forming part of a global design team, this role will require the successful candidate to create structural, paperboard-packaging designs for our global paperboard customers. The role includes preparing the timely delivery of samples for both sales and customers alike while insuring sufficient supplies are maintained in order to meet all service requirements. The ideal candidate will also be responsible for presenting functionally innovative solutions that are designed within the targeted budget while fulfilling their specific packaging requirements, as well as providing innovative solutions for efficient day-to-day operations. Metsä Board Packaging Services draws on its experience of creating packaging solutions across a wide array of markets, such as beauty care, healthcare, food and beverage, cigarettes, FMCG, pharmaceuticals, personal electronics, and consumer goods. It continuously adapts solutions across markets and cultural/geographical boundaries in order to develop innovative, packaging solutions that support the sale of our paperboard. Minimum 3 to 5 years of experience in design agencies or creative services department with experience in designing structural packaging for food, electronics, cosmetics and/or luxury markets. New graduates with excellent performance in applicable majors strongly considered. Be a team worker who is diligent, proactive and able to complete assignments with tight deadlines and great attention to detail.